Anthony Marra was born in Washington, D.C. At 19, he worked full-time in a UPS office before enrolling at the University of Southern California, where he received his bachelor’s of art degree. He studied at Charles University in Prague and at St. Petersburg State University in Russia, and earned an MFA from the Iowa Writers Workshop. He is presently a Wallace Stegner Fellow in Creative Writing at Stanford University. His work has appeared in The Atlantic, The New Republic, Narrative magazine, the 2011 Pushcart Prize anthology and the Best American Nonrequired Reading 2012. He lives in Oakland, Cal. A Constellation of Vital Phenomena is set in Chechnya and unfolds over five days, with many cross-cuts into the recent wars in the region. 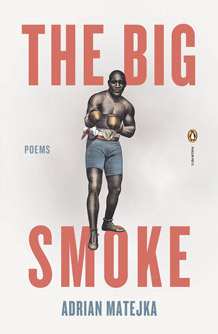 Marra takes his title from a medical dictionary definition of life and his inspiration, in part, from the fact that no previous English language novel was set in a region that has been fertile soil for Leo Tolstoy, Mikhail Lermontov and Alexandr Pushkin. Marra’s arresting debut novel unfurls through the interlocking lives of six characters. It begins as Russian authorities burn a Muslim home and “disappear” a father while his daughter escapes to the forest. A neighbor decides to hide this 8-year-old girl in a dilapidated hospital. Lives bind and fray in chaos, and regular people – each in their own way – try to transcend their circumstances by saving others. 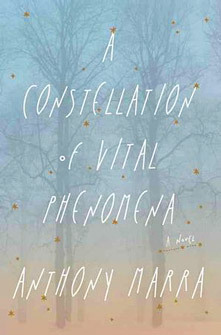 A Constellation of Vital Phenomena won the John Leonard prize for a first book from the National Book Critics Circle.